Jupiter Beach Park is a beautiful and entertaining place to visit. Whether you are new to the area or a local resident, this park has plenty of family friendly activities. This 46.49 acres park on the beach is located in beautiful and sunny Jupiter Florida, Palm Beach County. This park is great for locals to come and spend a relaxing family day, because you can even bring the family dog along into some areas of the park. For people new to Jupiter, FL, this is a great place to start exploring the new area and meet new people. There is a beautiful 1,700ft guarded beach to splash around and cool off in. Although there is no salt water fishing in the swimming area, there is salt water fishing permitted off of the pier or jetty. Be sure to pack those fishing rods for the family. The park also provides a beach surf wheelchair for people with a handicap. That is a great attribute for people who have some one with a disability in their family. Jupiter Beach Park has many amenities to enjoy a fun day in the sun. 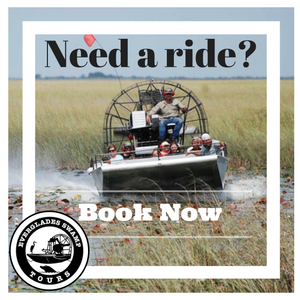 Whether it is with family, friends, or just a solo fishing excursion. In addition to the swimming and salt water fishing they provide a volleyball sand court, so you can enjoy a friendly game with the family or even some new friends. When visiting this park be sure to bring some burgers and hot dogs to cook up on the grill provided in the park's picnic areas. But before you cook up some yummy food, you can wash the sand and salt water off in one of the outdoor showers they provide. There is also a picnic pavilion that can be reserved for groups if you're coming with a crowd for a special occasion. So if your looking to have a fun and relaxing day with family and/or friends, Jupiter Beach Park is a great choice. Please note you are allowed to fish but not in the guarded swimming area. For information on renting the picnic pavilion call 561-966-6611.